Our point of view is to innovate, champion, and guide the emerging field of technology economics, providing the information and insights global leaders need to master technology investment strategies and use technology for significant competitive advantage. 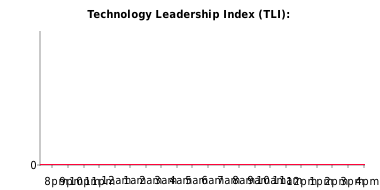 A New Market Index for a Technology Economy: The Technology Leadership Index (TLI). Rubin Worldwide's ongoing technology leadership stock index demonstrates that firms that place technology at the center of their business strategy show higher growth than traditional industry indices (read more). Rubin Worlwide has launched a Consumer Technology Price Index tracking how the pricing of consumer technology products and services evolves on a quarterly basis. To provide greater insight into the consumer technology market, we have conducted a research on the products and services which compose the basket of a technology oriented consumer during one year. Seven main products and services categories have been identified as being part of the typical digital consumer basket: smartphones and plans, cloud storage fees, MP3 players, broadband (fixed or mobile), printers and cartridges, computers (hardware and softwares), and TVs. This index aims at determining the cost of technology from a consumer point of view and enables to identify trends within the market by observing the price fluctuation operated by the main manufacturers and service providers. The study has been conducted in the US market and is intended to be carried out worldwide. If you would like Howard Rubin or Jed Rubin to speak at an event, please, login or register and then go to the Contact page to fill in the request form.